Alchemy tarot - Tarot Bulgaria ltd.
Alchemy 1977 is famous around the globe for their stunning gothic artwork and accessories. 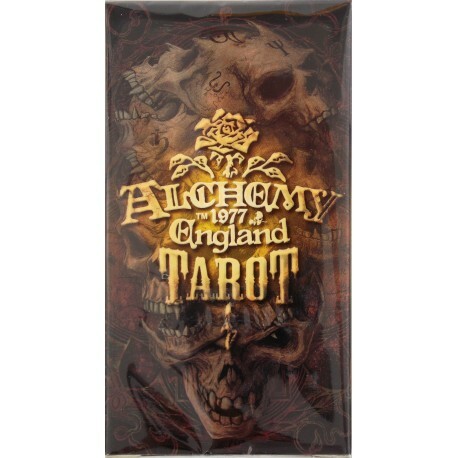 Fans of this iconic brand will recognize and appreciate the powerful and seductive images in this extraordinary and darkly beautiful tarot deck. 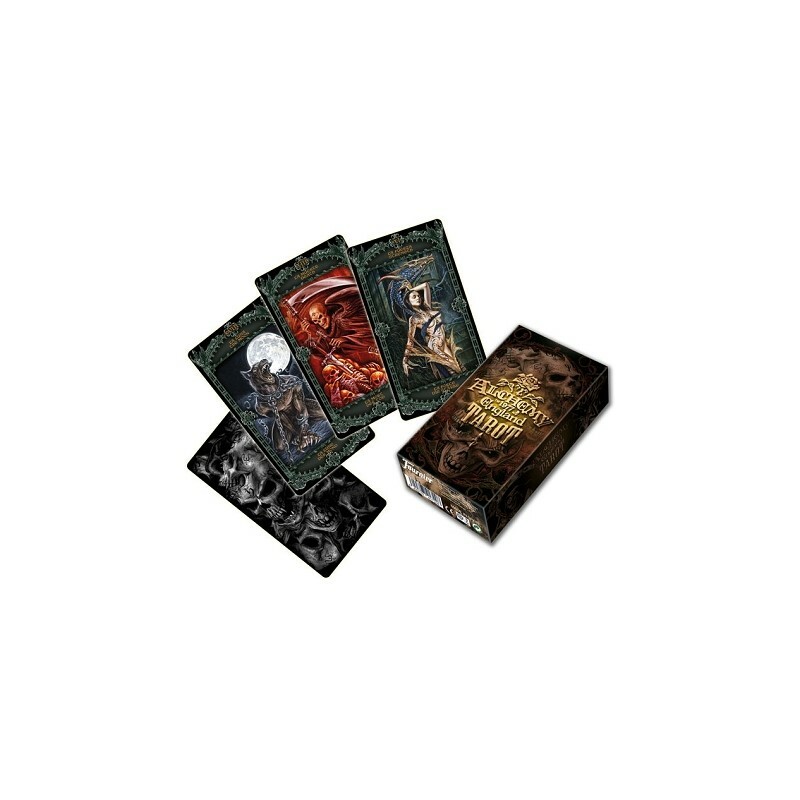 This captivating mix of art from world famous gothic illustrators ranges from traditional horror to lush supernatural scenes to medieval fantasy.This is a Marseilles Tarot and the numbered cards in the Minor Arcana are pips rather than scenic images.